Offices have the difficult task of managing people and information. Information can be easily accessible with the proper storage system design. MTM Business Systems specializes in the design and implementation of high density storage systems. Securing files within the office becomes another issue. Placing a storage system within a controlled environment allows facility controls over who can access files. In a central file room or open office space, sections of storage may require an additional layer of security for shared departments utilizing the same space. 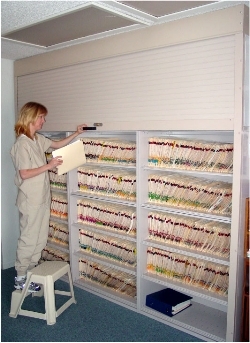 Adding doors to individual sections of shelving allows companies to have a shared central file system with independent security controls keeping one department out of anothers files. 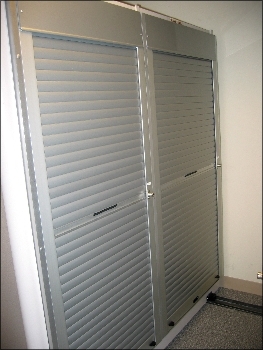 Doors are available for individual sections of shelving or to cover multiple sections with keylock and electric locking options available.